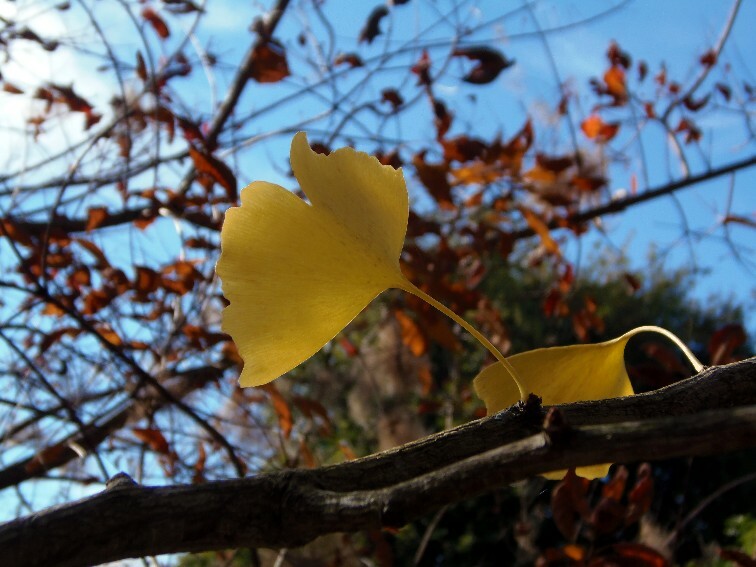 Close-up of ginkgo leaves. My husband, who is a bit of a menace in the garden when he has a chainsaw in his hands, nearly ring-barked this tree when he ‘accidentally’ cut off a lower branch recently. Naturally, I have initiated divorce proceedings.